Who says breakfast and dinner can make you fat? In fact, eating three times a day is healthy. Origin, the food is also healthy. It's a big mistake if you do not have breakfast for fear of gaining weight. Breakfast actually makes your weight more controllable. The weight of people who like breakfast actually tend to have more controlled weight when compared to those who do not like to eat in the morning. How come? According to one theory, a healthy breakfast can reduce hunger throughout the day and help us choose another healthy diet as well. For if we did not have breakfast we would have starved. As a result, we eat more while eating lunch and other meals. Not only able to control weight, a healthy breakfast gives us energy to move throughout the day. Breakfast is also able to improve our concentration and performance, maintain body resistance, and even lower cholesterol levels. To note, the breakfast should not be swallowed. According to most studies, a healthy breakfast containing protein and / or whole grains contributes to weight loss. Not breakfast with a menu full of fat and calories. Because the breakfast menu is rich in protein and fiber, we will feel full longer and the appetite can be controlled throughout the day. 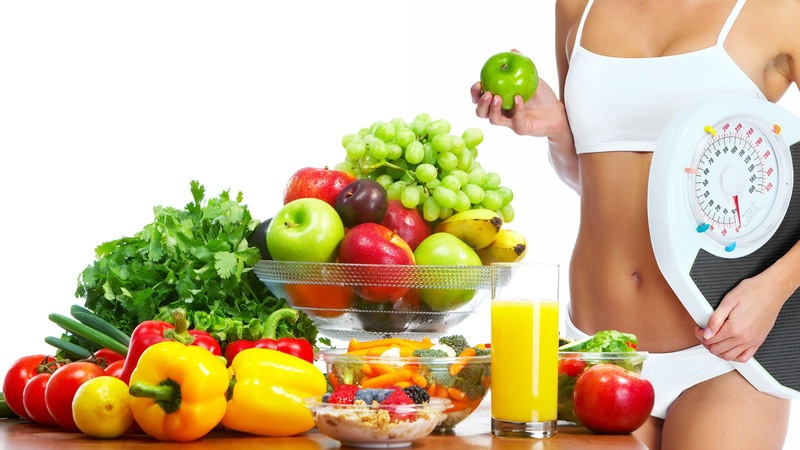 Do not forget to include fruits and vegetables rich in vitamins and minerals. Besides not wanting breakfast, many people are reluctant to eat dinner so that the scales do not increase or move far to the right. Though dinner is not prohibited, loh, the origin of the size or amount is reduced. The recommended to avoid is 'snacking' or eating again after dinner. Two things that are factors supporting the body weight rise kilos. If you have dinner but the stomach still busy rumbling, it is advisable to drink calorie-free drinks or eat a pack of candy only. In addition, reducing the temptation of 'snacking' in the middle of the night can also be done by brushing your teeth after dinner. If it had been toothbrush, would be lazy to eat a pack of potato chips, cookies, or ice cream again. Actually eating three meals a day - breakfast, lunch, and dinner - is healthy. In fact, according to initial research, people who eat three times a day have lower levels of fat in the blood. The important thing is to remember the key word, choose a healthy diet consisting of fruits, vegetables, whole grains, fat free or low fat dairy products, lean meats, poultry, fish, nuts, and eggs. Do not forget to choose snacks that are low in saturated fat, trans fat, cholesterol, salt, and added sugars. In addition, note also your daily caloric needs according to age and gender.